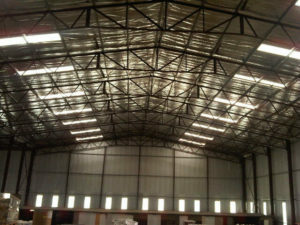 Welcome to Patt Projects CC – one of the leading names for steel structures in South Africa. 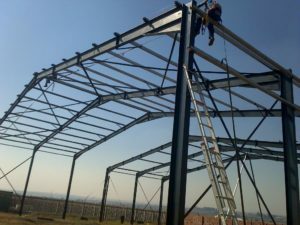 Founded in 1981, we have become one of South-Africa’s foremost steel construction companies, manufacturing and erecting steel sheds, shelters, factories and even shopping centres – across and beyond South Africa. 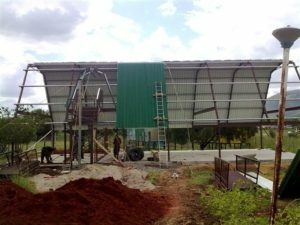 We’ve provided steel structures to organisations in Zambia, Botswana, Angola,Eritrea, Congo, DRC and many more locations in Africa and our reputation for high-quality steel construction ensures our clients get unrivalled results every time. 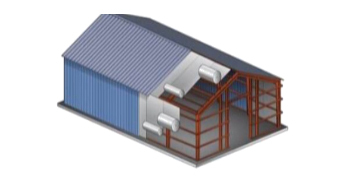 As a consequence of our continued growth Patt Projects are able to provide complete solutions to any request for steel structures, from simple steel sheds to schools, raceway buildings and even restaurants. We can take your ideas and design a complete steel construction to suit any purpose, followed by high-quality manufacture, timely delivery and erection. We can add to any basic steel structures at your request, providing lighting and ventilation, isolation and different roof options to maximise light or energy efficiency. By keeping all elements of our steel construction ‘in house’, we’re able to ensure the highest standards of quality control and our steel structures are manufactured using high-grade certified materials at all stages. Our team of skilled engineers and steel construction experts are able to manufacture and install any type of steel structures, in almost any location, and we’re happy to undertake any project, large or small. 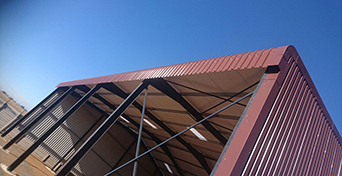 From a straightforward roof on legs, to complex lattice-work and sophisticated steel construction, Patt Projects have become the ‘go to’ company for steel structures, framework and projects of every size across Africa. We’re confident that we can exceed your expectations at every level – delivering cost-effective steel structures that are manufactured and delivered to even the tightest timeframes. We’re continually investing in the latest technology to ensure our steel construction meets the needs of today’s demanding market, so call us today to discuss your individual requirements for steel structures – one of our team will be happy to help you. 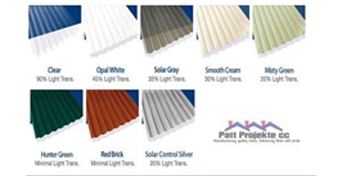 Patt Projects is a family owned business and was started by Piet and Tina van der Merwe in January 1981. The company was first involved in the erection of steel structures. With the ever increasing demand of steel structures, the family then decided to start manufacturing there own steel structures. This involved the cutting, welding etc of structures to clients specifications. Then came the in-house design office thus fulfilling the need for a comprehensive support in the manufacturing, designing, and erection of steel structures. Our client requested a 15 x 30 Steel structure joined onto his existing structure, over their current shop. All work had to be done over a weekend to ensure customer client safety as well as uninterrupted trade. Our client requested several different structures for storage and workshops. Which included but not only the spectator view point and walk way as seen in the images. Our client requested 30 x 25 x 7 structure. This included Bullnoses and Alucushion to ensure a low inside temperature for his clientele as it is going to be a retail outlet. 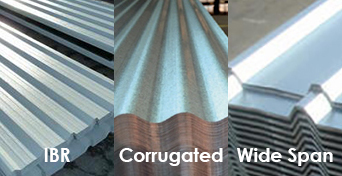 An aluminium coating can be applied to steel sheets. This coating consists of more or less 55% aluminium, 43,4% zinc and 1,6% silicon. This coating called Aluzinc is known for expanding the lifespan of our steel sheets by eliminating the rusting process and shielding your sheets against corrosive environments. 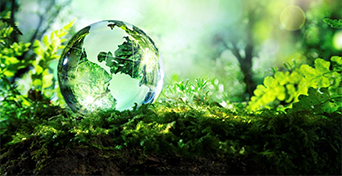 Aluzinc grants you multiple safety features and is a 100% chromium free surface treatment that shows that it is extremely environmentally friendly material that can and should be recycled to sustain our beautiful planet. We at Patt Projekte Steel Constructions have mastered the way to rig Aluzinc and make your building environmentally friendly and still leave a structure that can deliver peak performance while still being able to give a lasting building that will suit your every need. Speed, efficiency and quality are three standards that we at Patt Projekte desire from our staff, to increase these attributes we have bought a plasma cutter that can perform delicate jobs with ease to reduce stress of our already hard working staff. 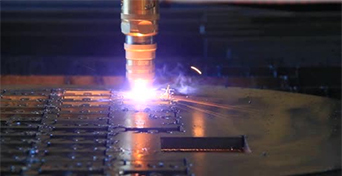 We provide plasma cutting services of any kind or shape to our clients. We use this machine to develop many of the complicated components of the buildings that we rig at a fraction of the cost to suit the customer’s needs. At Patt Projekte we constantly find new ways for our buildings to be even more environmentally friendly by applying cost effective ways to change the building to endorse our diplomacy towards our planet. We contemplate the best ways to save money on behalf of our clients, but avoid creating structures that could be harmful to the environment. Patt Projekte has the privilege to have two construction specialists to help you as a client achieve your dream. To completely satisfy your every need we have experienced personnel that inspects every inch of your rigged building to ensure that your building is top quality, will listen to your needs as a client and report back to head office to improve on your building or to finalize the plans. Having such high standards, we at Patt Projekte use only the most highly trained rigging crews to rig our buildings. We make use of 3 of the best erecting teams that have more than two decades of experience that will be able to rig your building swiftly with no faults and, above all, a quality guarantee. 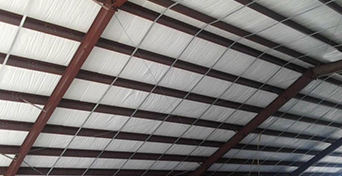 Why use Alucushion in your metal building? Alucushion Bubblefoil insulation is the recommended product for use in metal buildings. It is designed to be installed in the walls and roof to help keep your building cooler in the summer and warmer in the winter. 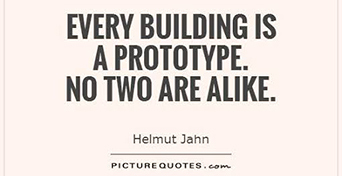 Here at Patt Projekte we have Sketch artists that are using all of their constructing skills to create the most perfect sketches that are in the client’s best interests. Our sketch artists pride themselves on making a timeless structure via a 3D-Renderding program that will give you the ability to peak into the future and get an idea of what your structure will look like. It is also beneficial for any changes that can occur that can be estimated beforehand to increase the structure’s stance, environmental friendliness or just to improve the overall look. Polycarb is made from a synthetic resin in which polymer units are linked by a carbonate group. Polycarb is highly praised for its transparency and its ability to be a natural UV filter. The sheets also possess incredible flexibility and strength. We at Patt Projekte provide these sheets at a decent price and fit them via our rigging crews. 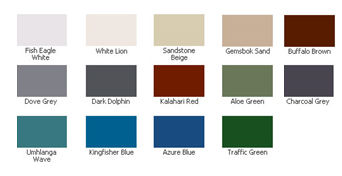 Patt Projekte can provide any of these colours to our clients and apply it with expert precision. We also provide expert advice on colour schemes and the different properties that certain colours possess. The advantages and disadvantages are also made clear for the clients. Patt Projekte believes in applying a professional finish to the last stroke and leaving no detail half done. Chromadek is made by applying a coat of epoxy to a galvanised steel sheet and is pre-painted and baked. This leaves a flat surface and a very durable sheet. The sheets being mill painted have considerable UV properties and is extremely rigid.